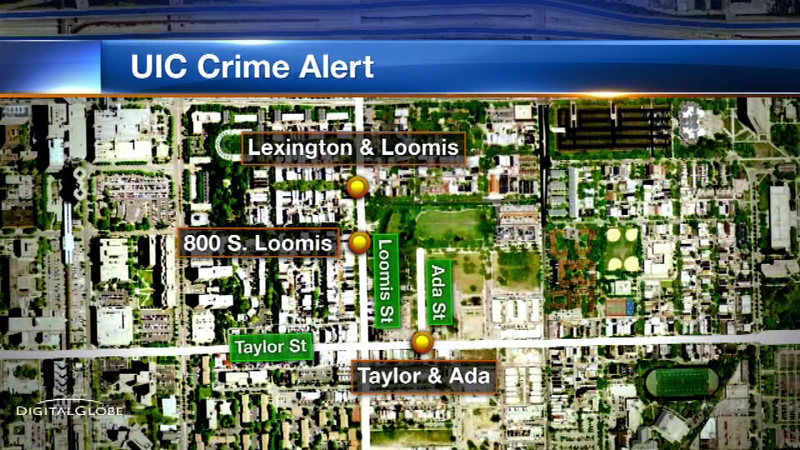 CHICAGO (WLS) -- Police have issued a warning about a pair of off-campus robberies and an attempted robbery near UIC. All of the crimes happened on Sunday. None of the victims were UIC students or faculty members, but UIC police are warning everyone to be alert.